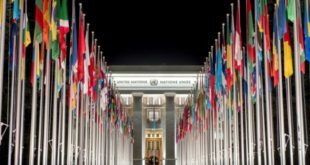 GENEVA-PARIS, July 21, 2017 (The Observatory & VCHR) – Vietnamese authorities must drop all charges against labour and land rights defender Tran Thi Nga and immediately release her, the Observatory for the Protection of Human Rights Defenders (an FIDH-OMCT partnership) and the Vietnam Committee on Human Rights (VCHR) urged today. Tran Thi Nga’s trial is scheduled for July 25-26, 2017 at the People’s Court in Ha Nam Province. 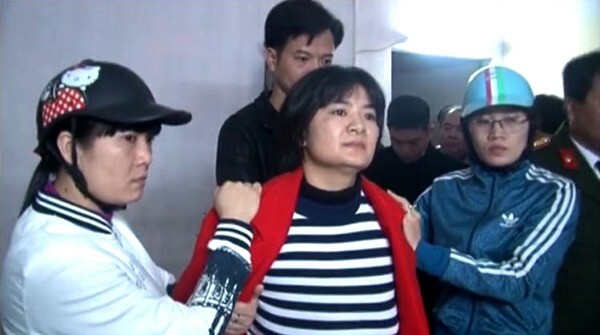 She has been charged under Article 88 of the Criminal Code (“spreading propaganda against the Socialist Republic of Viet Nam”). If convicted, she could face up to 20 years in jail. 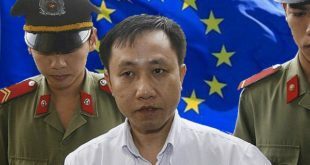 “The harassment, arbitrary arrest, and trial of Tran Thi Nga follow a familiar pattern of repression that will inevitably continue unless Hanoi enacts significant institutional and legislative reforms, including the amendment of the country’s numerous repressive laws,” said FIDH President Dimitris Christopoulos. Tran Thi Nga was arrested on January 21, 2017 at her home in Phu Ly, Ha Nam Province, after the police searched her house and confiscated several of her personal belongings. On the same day, Tran Thi Nga’s partner Luong Dan Ly, a pro-democracy activist and blogger, was also arrested. 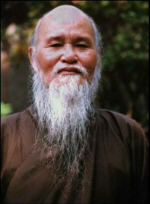 He was released the following day. Police accused Tran Thi Nga of using the Internet “to spread some propaganda videos and writings that are against the Government of the Social Republic of Viet Nam”. “We strongly condemn the prosecution of Tran Thi Nga, which illustrates once more the Vietnamese Government’s relentless efforts to intimidate and silence human rights defenders for their legitimate human rights activities. 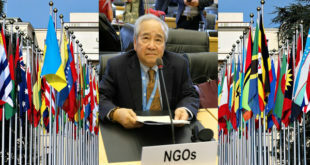 Viet Nam must immediately and unconditionally free Tran Thi Nga and all other jailed human rights defenders,” said OMCT Secretary General Gerald Staberock. Tran Thi Nga has suffered repeated intimidation, harassment, detention, interrogation, and physical assaults by security agents because of her human rights activities. In May 2014, a group of five men assaulted her with iron rods, breaking her arm and leg. In the days prior to her arrest in January 2017, Tran Thi Nga was subjected to increased police intimidation and harassment, including surveillance of her home and the use of physical force to keep her from leaving her house. Police also refused to allow a neighbour to take her two young sons to the city to buy them food. “The result of Tran Thi Nga’s trial is a foregone conclusion and it certainly won’t be the last conviction of a human rights defender by Viet Nam’s kangaroo courts. 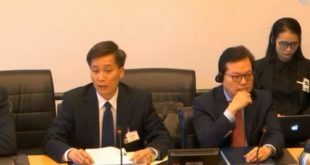 Without renewed international pressure, Hanoi’s crackdown on human rights defenders will continue unabated,” said VCHR President Vo Van Ai.